Graduate of Mississippi State University with a Bachelor of Science in chemistry, physics, and general science in 1992 and a Master's in Secondary Education in 1999. 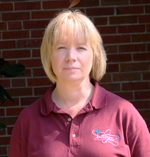 Kelli's teaching career started at Quitman High School and Koscuisko High School. 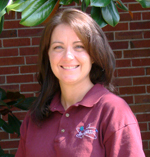 Kelli has now been teaching at Starkville High School for 19 years. 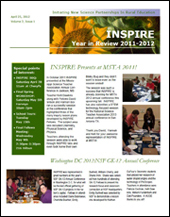 "The INSPIRE program has been so much fun for me and my students!" Earned Bachelor of Arts and Master of Arts degrees in philosophy from the University of Mississippi, where he also studied mathematics, physics and languages. He earned a Master of Science in Geoscience from Mississippi State University, where his research in petroleum geophysics focused upon techniques of secondary oil recovery using indigenous microflora to modify strata permeabilies within oil reservoirs. He currently is a Ph.D. candidate in Earth and Atmospheric Sciences at Mississippi State University. 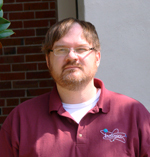 Mr Funderburk has taught high school for fourteen years, and beginning in 2006 has taught physics at the Mississippi School for Mathematics and Science in Columbus, Mississippi. I was born and reared in Vicksburg, MS. Married with three adult children. BS in biology from MUW in 1978 and MEd from MSU in 1991. I have taught for 36 years in eight different districts with Starkville being the best. I have greatly enjoyed working with INSPIRE participants. 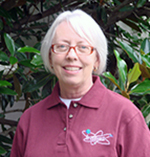 They have broadened by knowledge base and helped me to make science more of a real thing..
Life-long resident of Columbus, MS and graduate of Mississippi University for Women. She has a B.S. in Biology with an additional teaching endorsement in Physical Science. Teaching experience includes 1 year at Columbus High School, 8 years at Columbus Alternative School and 5 years at Lee Middle School (soon to be Columbus Middle School).